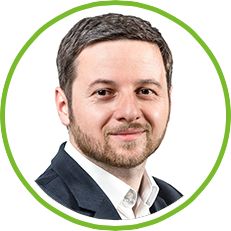 “It is the most important urban development venture ever initiated in Vienna and one of the largest of its kind in all of Europe. The planning area covers 240 hectares, roughly equalling the combined 7th and 8th municipal districts of Vienna or 340 football pitches. 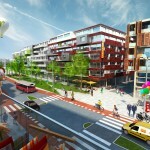 The city is to be built in several construction phases over a period of at least two decades. aspern boasts both urban and country appeal, offering lots of public zones and ample open spaces. 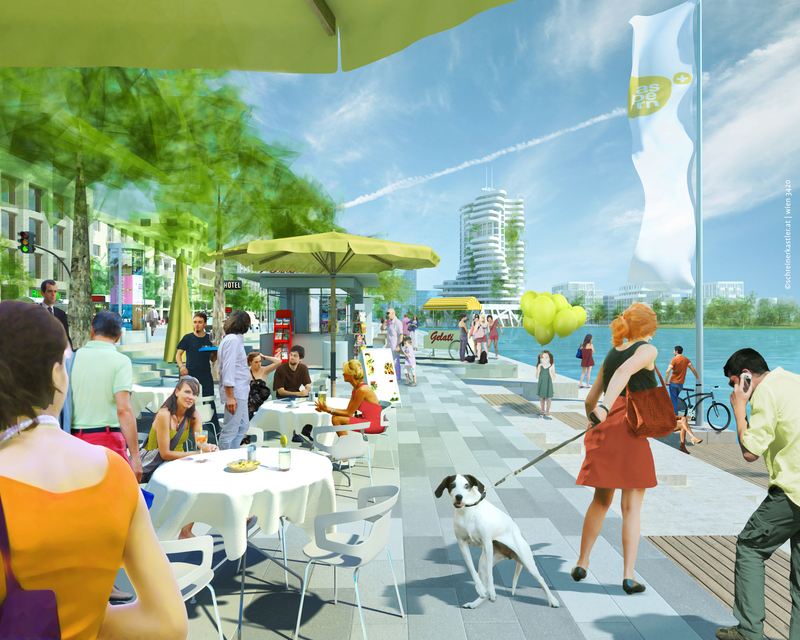 The heart of Vienna’s Urban Lakeside will be an approx. 90.000 sq m central park with a 50,000 sq m lake. 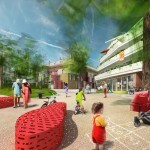 With its landscaped banks and promenade, it will be the meeting-point for residents and all those who work in aspern. The lake is the centre and at the same time the central idea inspiring the city, embodying the focal concept of urbanism and the motto “enrich your life”. Easily accessible from all points of aspern, the lake continues in watercourses and green swathes to the east and south-west. 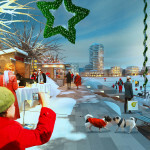 Vienna’s Urban Lakeside will be, offer and connect many things: economic hub, business and high-tech centre, science, research and education quarter as well as recreational zone; city and nature, alternative energy resources and modern architecture; innovative “townhouses”, ground-floor zones with shops, cafés and restaurants, and quality of design. 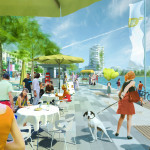 aspern will unite many generations and lifestyles in one spot. 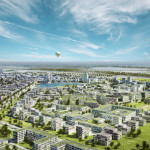 While the first residents are expected to move to aspern in the course of 2014, the construction of the lake and subway station were already finished last year, as can be seen in these two timelapse videos. Have a great Sunday!